Wyboston Lakes Resort is set in 380 acres of stunning lakeside scenery and is perfect for any teambuilding event. Wyboston Lakes Resort has so much to offer – great golf, an exceptional spa, wonderful walks, fishing and great home cooked food in The Waterfront Restaurant & Grill. The Waterfront Hotel, Spa & Golf has been awarded a AA 4-star hotel rating and an AA One Rosette rating for hotel food. 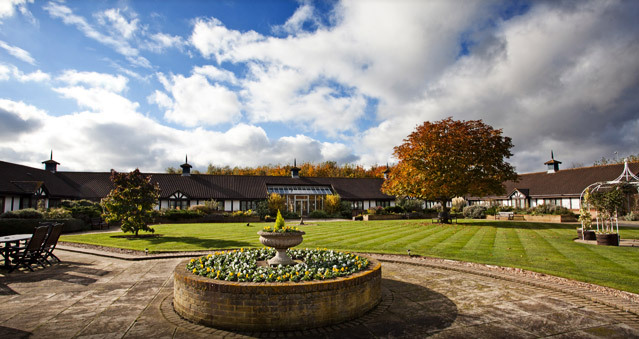 Wyboston Lakes Resort also houses 2 purpose built venues, 406 bedrooms and 64 training rooms, making it an ideal choice for a teambuilding activities. Ideal for: The Killing, Around the World, Awakening the Dead, Stocks in the City, Mixology, The Ultimate Team Build and much more! Location: Cambridge and Milton Keynes are a stone’s throw away and easy access to and from London King’s Cross.